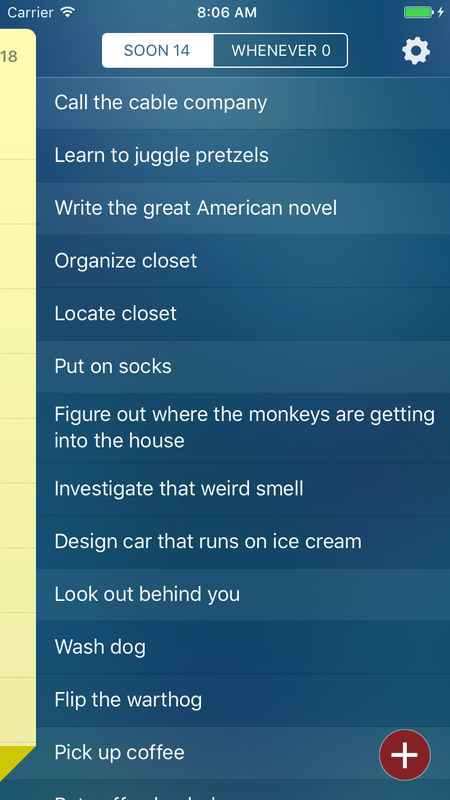 People abandon to-do lists because they get out of hand; sticky notes are appealing because they’re constrained in time and space. Productivity isn’t about how much someone gets done, but whether she feels in control. Stky is available for download from the App Store. 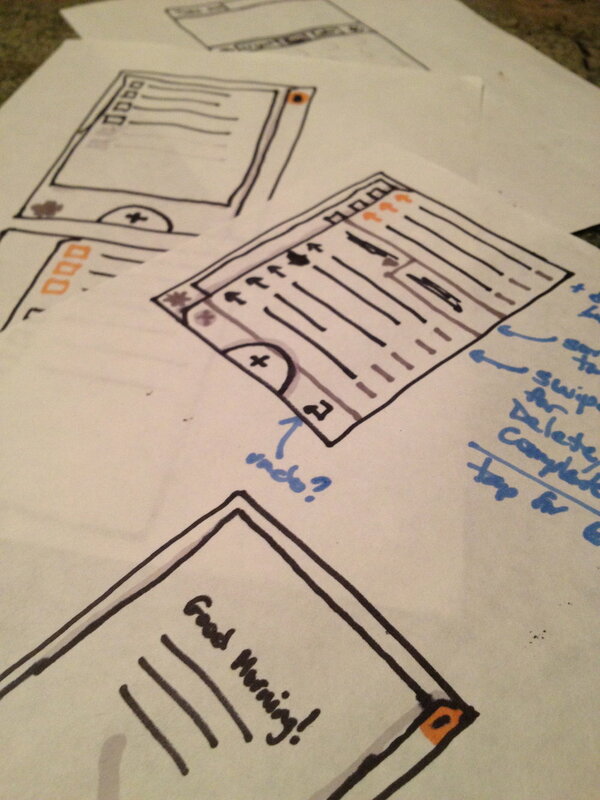 I started with comprehensive sketches to flesh out the interactions, then built a "working wireframe"—a native iOS app that provided bare-bones functionality without any visual design. This allowed me to play with the trickier interactions myself, and to test them on friends and family before investing in visual details—while serving as a basis for the final codebase. From there, I finalized the visual design and built the full-fledged app. I revisited Stky in 2014, adding support for Apple Reminders and updating the look & feel to reflect Apple's move to "flat" design. In 2017 I refined it further. Task-entry needed to be fast and ubiquitous. But Stky's home screen was a "daily sticky" of curated tasks—the current sprint rather than the backlog, in Agile terms. 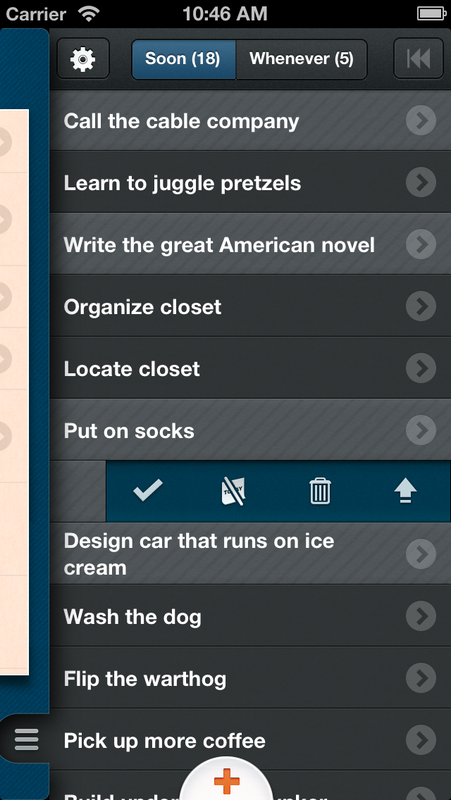 That presented a problem: If you add a task from the home screen, your newly-created task doesn't show up anywhere. The solution: a carefully-crafted pairing of animations and callouts. I went through multiple iterations, testing each on myself and a small group of beta users until I had it right. Stky has been downloaded more than 30,000 times, despite very little marketing. But, retention isn't good. Productivity is a challenging space. I believe Stky's core hypotheses have merit, but to date have kept it as a fun hobby project rather than a business venture. I credit Stky with piquing my interest in a more psychologically-centered lens on product design, and ultimate in applying the lessons of behavioral science to software design and development. I'm currently running a test of the "IKEA effect" using themes in Stky; initial results suggest a meaningful impact on retention.